Helen Parker is the designer responsible for the unique and dramatic looks that epitomise the deVOL style. She is a multi-tasker, originating all the designs for every deVOL showroom, including their most recent, St John’s Square in Clerkenwell. 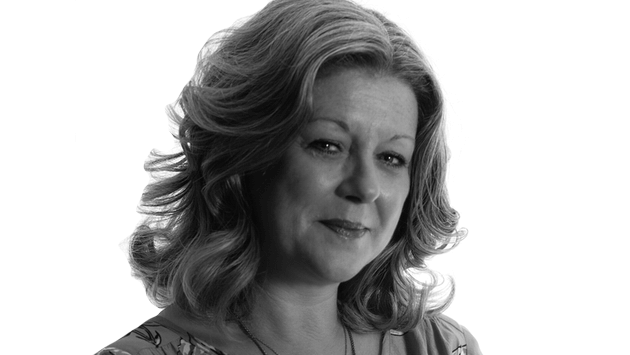 Helen is also working and collaborating on new projects, accessories and the beautiful brochures and imagery. Q: What did you want to achieve when finalising the design of the new showroom? My overriding desire for the new showroom was for it to be a little different from our normal look and to do justice to the style and age of the building. I wanted to create a feeling of walking into someone’s kitchen and home rather than walking into a showroom, I wanted it to feel special and comfortable and rich with colours and textures. I also had to bear in mind that the deVOL look is quite simple and not to stray too far from the look everyone loves. I was very influenced by our Peckham Rye kitchen, its’ completely new feel was such a big hit with our customers that I felt maybe it was time to be brave and step outside our comfort zone. I wanted to create an ‘English Eccentric’ feel, something that was a little more quirky than our Shaker Showroom. We decided to have our Classic English furniture as the main feature. This Georgian-style bespoke furniture is perfect for this type of building, with large well-proportioned cupboards that have a substantial and classic elegance. I also wanted to incorporate some of our new products into the design, introduce some new colours and be a little more daring. I have enjoyed getting to know a little more about the East End of London and am keen to learn about styles and colours and incorporate this knowledge into our new house. I visited Malplaquet House in Mile End, East London a year ago. It left a big impression on me and made me want more than ever to create authentic, uncontrived interiors with soul, history and layers of interest. I have a lot to learn but I’m loving the challenge! Think about the style of your property and try to incorporate this into your choice of kitchen supplier and the design. This doesn’t mean if it’s a modern house have a modern kitchen because mixing old and new works. What it means is be sympathetic to your house and its style. I love old houses with incredibly simple modern kitchens, I also love stark simple buildings with a few select and even ornate vintage pieces. Unfortunately most people live in more normal properties and need the usual plethora of items in their kitchen, but they should still think about the age of their property and the proportions of the room. Some styles look great in a magazine but just don’t translate well into a small family kitchen which needs to work hard and look good for years to come. So be prepared to sacrifice a little along the way, whether it be storage or an additional appliance to get a cohesive kitchen space that is a pleasure to be in. Paint: deVOL’s Clerkenwell Blue and a bespoke colour similar to Drop Cloth by Farrow & Ball.